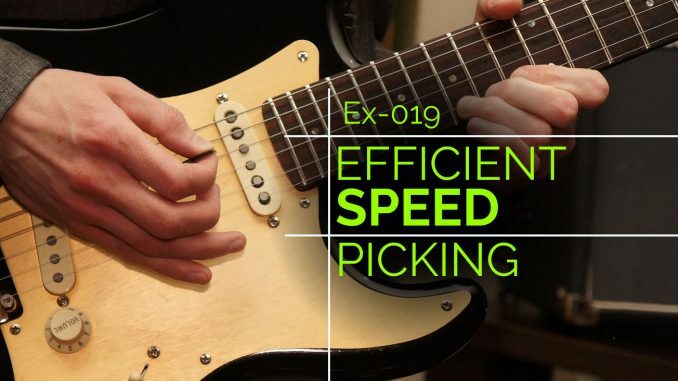 Practice economy and sweep picking and other concepts in this efficient speed picking exercise. G major scale with 3 notes per string using economy picking. G major chord tones separated into 3 octaves including a tapped note. The first 6 measures cover the G major scale played with 3 notes per string. This allows you to easily use economy picking. I noted the down and up strokes to practice this picking technique. The next 2 measures cover 3 octave notes. It is a good idea to memorize this pattern so you can use it to find octaves later. 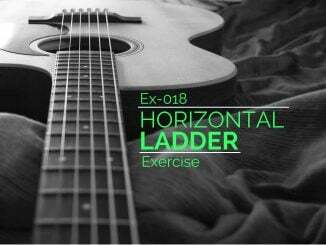 The next section shows you how to play the G major chord tones over 3 different octaves using sweep picking. The final octave includes a tapped note. I recommend a high gain setting on your amplifier so you can hear it when you tap. When sweep picking, you only want one note to sound at a time. When you switch strings, make sure you mute the previous string by lifting your finger slightly. This is usually accomplished using a rolling technique with your hand. 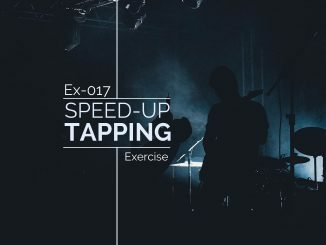 The last part of the exercise include sweep picking with eighth notes and sixteenth notes. Notice the picking pattern. 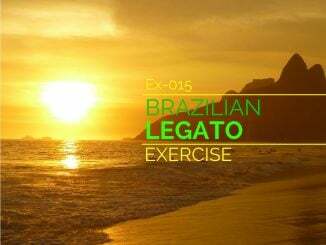 This exercise was provided by one of my readers, Robbie McGookin. I modified it slightly. The audio is auto-generated so it’s tonal quality isn’t the best, but it will help you play in perfect time at 120bpm. A PDF, audio, and the full exercise image is provided below.